DRIVERS cruising into Warwick will soon be greeted by a massive 15 metre equestrian sculpture towering above Queens Park. 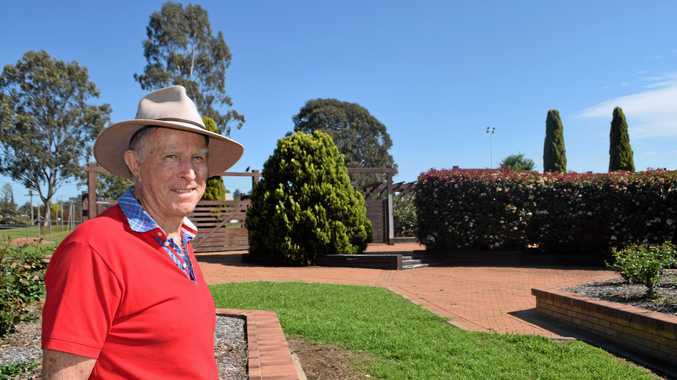 Over five years John Simpson raised $157,000 to create the sculpture and this week the Southern Downs Regional Council agreed to contribute $60,000 towards its construction. The funds are not quite the final piece of the puzzle as Mr Simpson said $10,000 was still needed to illuminate the sculpture, but the grant would mean that construction could begin. Mr Simpson, who has been planning the project since 2005, said he was elated to hear the funding had been granted. "It's a big relief after years of raising money. Raising money was very difficult but many of the business and private have given," he said. The sculpture will be a three-tiered piece that firstly honours the Lighthorse Troop, started by Major Costello of Thane, which served for the district in World War I. The second tier will pay homage to farmers who did it tough on home soil during the war, while the third layer will represent the popular horse sports in the region. Sick of people not knowing where Warwick is, Mr Simpson hopes the sculpture will help put the city on the map. 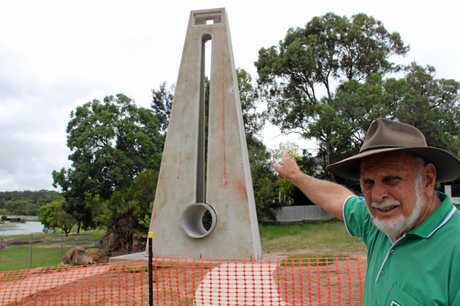 "You imagine coming down the hill into Warwick from Brisbane and you see this massive piece of sculpture that's 15 metres high, that's going to stop people. It's a tourist attraction," he said. Mayor Tracy Dobie said the money granted towards the equestrian sculpture wasn't a cash donation but would be used to clear the site including removing trees and rodeo chutes. But the Queen's Jubilee Rose Garden will remain in place. Cr Dobie said the sculpture would represent the horsepower Warwick was well known for delivering. "It will be like some of the other sculptures, it will encourage people to stop and once they stop there's a good reason to get out and have a look around," Cr Dobie said. Cr Dobie said the Stanthorpe Chamber of Commerce contacted the council because they were unable to raise the final $50,000 needed to complete the big thermometer, even though construction had started. 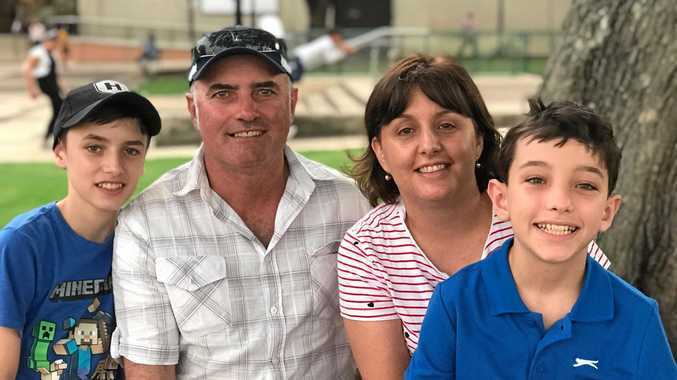 "These are two projects that the community has contributed a lot of money to and I think both projects needed to be finished and this is council's contribution," Cr Dobie said. To fund the projects, Cr Dobie said the council had tightened up council spending to save money and over the past year the money had been returned to the community through grants. Mr Simpson said the equestrian sculpture would take four months to complete and work would start soon. To make a donation towards the illumination of the sculpture, phone the Warwick Credit Union on 1300 724 433.